Of all the issues I struggled with in the early days of writing my novel (some of which I’ll explore in later posts), the most challenging for me was genre. As with all writers who have a spark of an idea, I knew the rough story outline. However, there were so many elements in that story that I had the dawning realisation I would have to decide. It simply wouldn’t cut it to say well it’s a bit of this and a bit of that, with a dash of this and the other thrown in. Of course many people will say to you – just write the book and then see where it fits in. By choosing to stay open to writing in any genre you are free to pursue any idea that grabs you. That’s great if your books are written in a constant stream of higher consciousness as I had once naively dreamt. Sorry to burst your bubble but writing a novel means large intakes of breathe every now and then. You need to plot, plan and assess your work to ensure it is staying on track, resulting in a process that’s so much longer than writing poetry from the heart or an inspired moment in time. 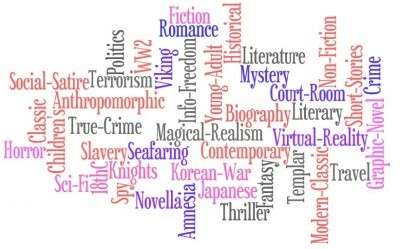 The topic of genre becomes crucial if you intend to market your book to a wider audience. In short, genre is about marketability. As someone who has written for corporates in marketing, I’m all too aware of the importance of marketability. If you don’t market your goods, products, services, or novel, to your target audience, well quite simply you don’t have a target audience that knows where to find you. Identifying genre can actually help you in your writing process as I found out when I attended a recent workshop with Bloomsbury Press. I had developed my pitch based on a ‘genre-crossing’ novel. Of course I thought I had cleverly masked the fact I wasn’t sure whether my novel would fit onto a historical category or a philosophical category. It did both in my mind, but that wasn’t enough. The feedback I received was invaluable. I could still have all the elements I wanted included in my novel, but the ‘cross-genre’ idea just wouldn’t fly with this particular publisher. After discussing the storyline it became clear that what I had been working on was indeed historical fiction. To take you back to my first point, this decision was based on not only content, but ‘marketability’. I have to say the sense of relief to finally nail my genre led me to the realisation that knowing your genre has it’s benefits. Constraints breed creativity. Sometimes having some rules to write by actually makes you more creative. When you can write about anything it can be difficult to know where to start and often you find your story taking you off on a tangent. You look more professional. It’s important for agents and publishers to see that you understand genre and the need to build a platform. If you have a clearer vision of where your title fits in they will view this positively and they will have confidence in your willingness to market yourself. You become known as an expert. The more you write in one genre the more people see you as an authority in that area. It’s one less choice to make. This benefit I cannot stress enough. It was as if someone had literally taken the fog and indecision from my mind. As a writer building a career your life is filled with endless choices. Now you have one less!